The war of niche had always raised eyebrows and to be true when it is the rivaling drift between Mercedes and Audi then the competition is really meant to be seen leaving all the other jobs behind. It too has a reason; Mercedes Benz is the oldest niche carmaker present in India and is famous for its pride on the three points of its star. Whereas the other German i.e. Audi had banged new generation with its appealing four rings on the forehead and also the aggressive yet sportier vertically slanted front grille on its SUV range. Yes, today we are going find out what are the things that are said to be most lucrative in baby SUV range for which the Mercedes Benz ML 250 and Audi Q5 are burning their rubber against each other very aggressively in Indian market. Learning a bit about both of them, it was revealed the ML Class is recently introduced in India and is doing well in many of the terms of sales sheet. On the other hand, very instantly bestowed with the facelift, Audi Q5 is also ready to take on the competition with strides from every angle of three pointed star. The niches that we are pitting over here against each other are of the diesel variant and appeals customers in the pricing range of Rs. 50 lakh. Hence, let’s start the much awaited burnout of luxury in ultra lushness of rigidity, we are eager to get our dose of octane. Give with the 3.0L TDI Audi is pretty faster than the competitor in terms of power which it blissfully stands with 245 bhp on a dab. The eight speed automatic gearbox is also an added advantage on four rings to sight punches on the competitor. That’s all for Audi to say in the technical introduction, where on other hands Merc has a whole lot to convey, story relating to its ML family. ML 250 CDI is the younger version of ML 350 CDI which is swayed away with the 2.2L four cylinder diesel engine churning out 201 bhp. Whereas on the other hand ML 350 is a 3.0L six cylinder oil burner, but looking at the younger ones one cannot feel the lacking in it due to the specifications given to it. 250 CDI turns 0-100 kmph in the span of 8.8 seconds, 2 seconds slower than the 350 CDI, but is quite stable and smooth on the run. Running it in the city doesn’t gives out negative responses but when taken on open road then drawbacks started peeping in from one of the corners. On highways, ML 250n is a bit slower and that seven speed automatic gearbox takes a lot of time than standard to suit in the respective shifts. It means the driver has to be cautious every time on long journeys because sudden change in the graph of throttle will take a lot of efforts to mellow down the lower plethora of RPMs. It is so sloth that the use of pedal shifters goes in vain whenever you try settling down them in the lower range while slopping directly from the great ones. Coming to the Audi, Q5 facelift is the best in terms of switching down the various crisps of throttles. Given that playful stroke in any of the slot, you will not receive the tantrum throwing vibes from it. The eight speed automatic gearbox being assimilated with the powerful 3.0L TDI engine proves its mettle in the cruising line against Merc at any of the given cost. Unlikely to the ML 350 CDI, Q5 TDI is sharper in risky overtakes and also helps to maintain the high cruising notches with ease on highway. The long eighth gear feels exclusively slotted in the technical specification and gives in the hassle free ride right from the beginning. Even when one would start its engine then also that same thing peps up to surface showing up positive effects on an important note. However we are so gleamed that, it is planted in a way where one cannot know that a V6 diesel is running underneath the hoods of his car, comfortable and relaxed in the posture given. Twist and turns reveals the depth of underpinning and aerodynamics. Hence, no exception here too but looking at the respective of vehicles, as they are SUVs hence the rough patches also becomes a part of the platter for both of the bugs. Noting down the aerodynamics, Mercedes Benz ML 250 is a bit hampered on the suspension side when comparison with the elder sibling. The steel spring, unlikely to the luxury air suspension on ML 350, lends us subtle flirting in the low revs but when one starts hitting the above clauses of odo then the actual color pours out and sometime gives you a thud type of experience on the large sized potholes. However likely to the other family members, this Merc too is rigid on the top speeds, a sturdy type of feel is always delivered when gone in that highly reclined passage of kmph. But this much rigidness is not right for the twists and turns. It feels cramped and heavy when pressed hard in corner. At sometimes, we had also felt that we are sitting on the heavy commercial type of vehicles while passing on the most curvaceous paths. In spite of this much extravaganza, Merc feels a cut off from the outer world when sat inside the cabin, silent and pristine of all. On the other there waits Audi Q5 curiously to be explained as soon as possible. Yeah, at the back of Ingolstadt based engineering, we found out that it is also not lesser than the old charming badge of prestigious Mercedes Benz. Quite new in the range, as had recently seen the launch, Q5 facelift is sharper than the ML 250 and takes in bumps more subtlety than the rival. This edition is simply better than the previous one. Softer springs, provided with the temperament of various settings, gives in Audi the clashing victory over the ML class. One can switch to different adjustments of suspensions for going as per the needs of tarmac. Henceforth, this same feature had also benefitted us on the turns. We swooped past the corners with ergonomics of a bird on the twists; mind it, that action was performed in the Dynamic mode. Steering feels sharp and pointed, takes you exactly in whichever the direction it is inclined. In spite of carrying this much kerbs, steering rim is light and active, always ready to gulp down any sort of fringe thrown at it. ‘Audi Q5 is simply better than the Mercedes ML 250 on this plethora too’, this is not said by us but the figures which we had received in the test run shows the same story. Achieving the 0-100 kmph in a massive 8.8 seconds, Audi had scored better than it with the same drag in 6.5 seconds. The top whack of Mercedes too hadn’t got things right in the place, clocked the max at 210 kmph whereas the four rings then again parched the competition with 225 kmph of its best. Interiors are of the second utmost priority for us in the test drive after seeing the ride and handling section. Open the door, climb on the footboard and there awaits a king sized cabin in the Mercedes Benz ML 250 CDI. It bestows you with the comfortable driving seat, a good ground clearance, and the incredible amount of visibility to feast upon. But the color of interiors we thinks was not up to the niche factor in fact the quality and feel was tempting enough to convey you the best from Merc stable. It lacks the advanced feature like seat memory and such but hopefully not disappointing us at all. Rear seats too are comfortable. Acres of legroom and knee room provided on the rear so that long journeys may not become a strain on the back even, as had been bestowed with the reclining seats for rear passengers. The Audi hadn’t make mark with this feature on its new Q5. Floor in the Mercedes Benz too is engineered in such a way that one may not feel cramps in his leg during long journeys. It bears the impressively low amount of congestion in the measurement. The Insight of ML 250 gave us that feel of big lugging upmarket SUV which does not incline any second thought for same. Let us tell you in beginning, Audi Q5 is a shoe size smaller than the younger ML badge but is not compromised on any of the else. Inside the dashboard is designed to meet the tantrums of young generation. The red colored backlit buttons gives in a feel of an air-craft cabin at night. Everything seems perfect in place while some of the slots are fixed with nasty plastics. Though, it isn’t too bad to have a sneak into it. 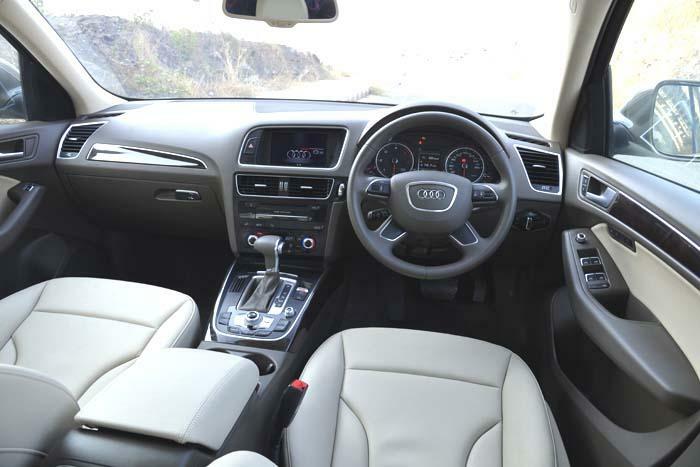 Overall, the cabin quality of Audi Q5 is top notch and is concluded with reverse parking camera, MMI, fully powered seats with seat memory and the adjustable set of dampers. In addition, this German hasn’t excluded the 6 CD changer with aux and USB ports, climate control and xenon lamps from its luxurious list. The game changing feature that Audi boasts in new Q5 is the ‘panoramic sunroof’. It gives you the feel of a convertible car at every point of time. Most probably it is the enchanting moment when one will spend a glitzy evening with a glass of champagne and his beloved partner in his arms, hosting a toast under the temptation of a full moon night, will definitely utter only one word “Awesome”. Comparing both of the bugs, we can conclude that Audi has the most promising cabin than Mercedes Benz, but here Benz had scored some brownie points over Audi. The build quality of ML 250 is preceded to last long like that of a military tank whereas the Audi Q5 had inspired more of the quotient glamorous world. And the trim of ML 250 CDI which the Benz is selling over here, and the same which we are driving too, is the base version, comparatively the one which we were riding with the ‘four ringed badge’ was a top of line trim named Premium+. Hence, if taken the ‘unequal trim level’ scenario in to the final vision then Benz emerges as a clear winner on the interior note. Remarkably, rear seats of Audi can swallow in the fifth person too but the guy who will be sitting in middle will have to keep his legs splayed all time. Whereas, rear air con is not as aggressive as the Benz’s so summer days maybe prove a disgusting trauma to the whole luxury extravaganza. Safety features are not the worrying issues for both of them, as Germans are already famous for such enhancements; hence these two are not exceptions at all. 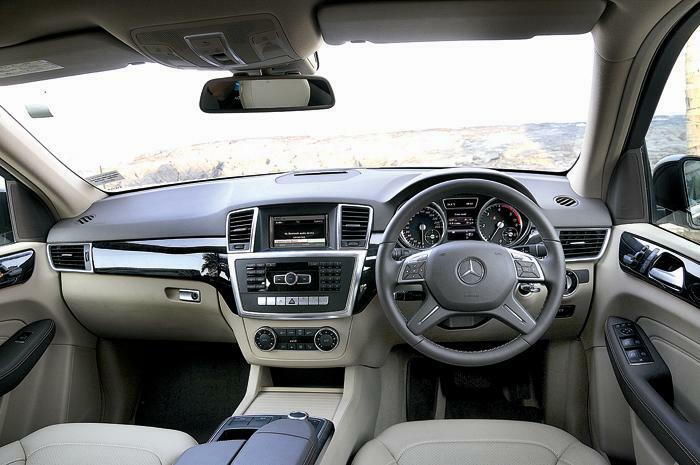 Mercedes Benz ML 250 CDI comes with nine airbags, Attention Assist and Pre Safe features to control all the inevitable. Springing its own flora and fauna on the other side of river Audi Q5 equips eight airbags, EBD, ESP and tyre pressure monitor. Both of them are equal in their places hence no more conclusions at this point. 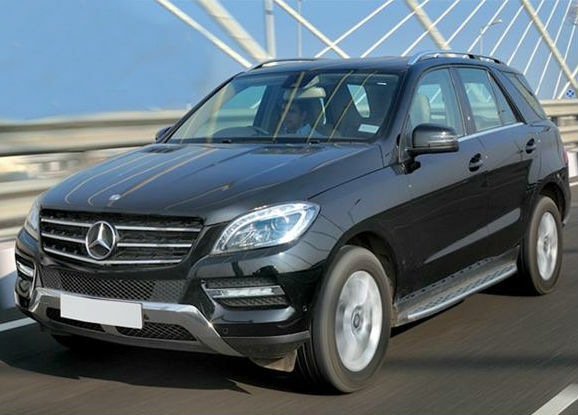 Pricing says, Mercedes Benz ML 250 CDI is slotted at Rs. 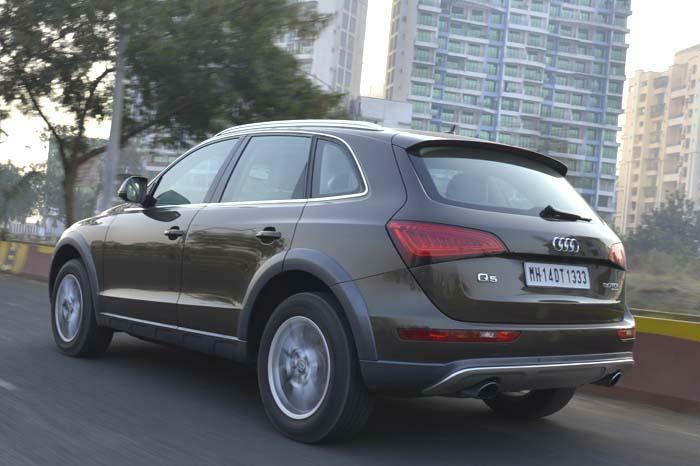 47.19 lakh whilst of Audi Q5 TDI Premium+ at Rs. 52.47 lakh ex showroom Delhi, the Ingolstadt based moniker is charging a hefty addition of Rs. 5 lakh and is providing the top of line model in that. But against to it, Mercedes had positioned younger ML baby in the base version itself and is proving the tough military like quotient on all of its cosmetics. The Benz boasts a large interior space and is also a shoe size bigger than the competitor, flaunting looks of big bunkered SUV and those typos. Audi had made this move in a bit compact yet smart manner. The powerful engine and that eight speed gearbox properly assimilated to churn out the desired output at a dab. Q5 always tends to give poses of peppy youngsters, who are on their toes for the long trips and all. The ML 250 looks sophisticated on all the fronts specifically we hope it’s reasonably meant for the Dad’s generation people. Moreover, Mercedes Benz was also sluggish to drive on the open roads. Under the hoods of Q5 badge, it is not only a SUV which can cross rough terrains and all but hopefully one can also feel the convertible experience in it due to the large sunroof. Being the base variant ML does not provide automatic tailgate operation nor even the seat memory in spite of getting positioned in then niche club, but hopefully Audi reveals the aura of luxury on just the opening of doors, as all the seats are covered in leather. Well, our choice of car over here is Audi Q5 which is young and energetic as always, but is quite trimmed in size when compared with the ML 250 CDI. We hope that would mellow down when given with the powerful 3.0L TDI engine, eight speed automatic gearbox and the sharpest trait of driving lines. In this comparison Mercedes is not as powerful and as sharp as the competitor but boasts a good space and bolder ergonomics. 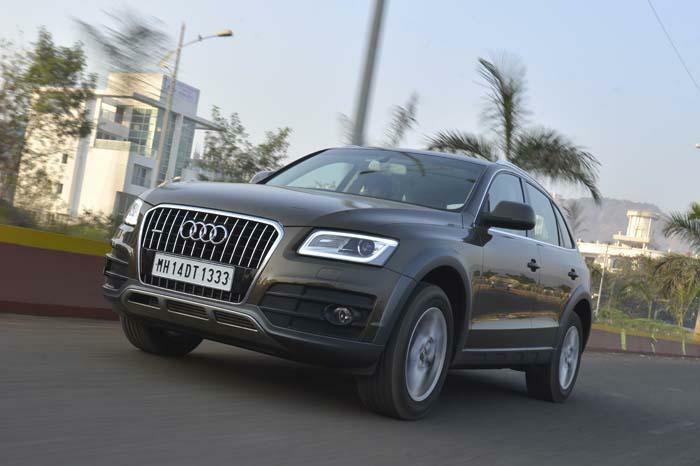 In our perception Audi Q5 3.0L TDI stands the clear winner against ML 250 CDI! 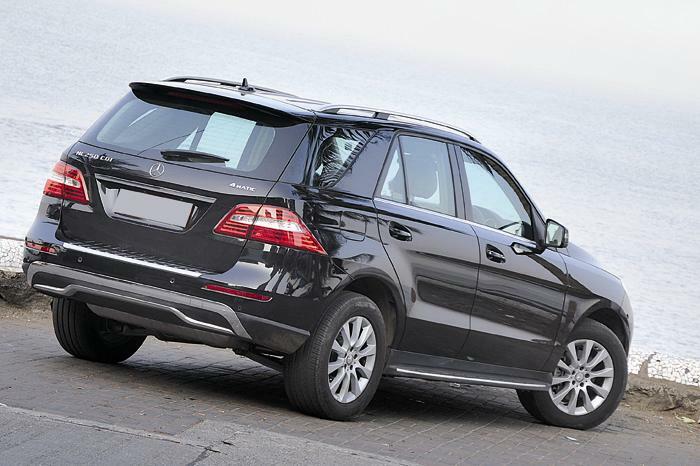 But hopefully the Mercedes should launch more trims of ML 250 CDI in India to compete this level at another stage.